We continue our exploration to discover the latest and greatest dining experiences in London. We take to Mayfair to see what's on offer and review the restaurants from their interiors to their dishes. Ginza Onodera is a recently renovated premium Japanese restaurant in the heart of St James’s, London. They’ve shared the news that the restaurant will be hosting a series of sake dinners, so we popped along to learn more about what they have to offer. The first impression of Ginza Onodera is impressive; stood proudly amongst the many traditional tailoring shops, it’s inviting, mysterious exterior draws you in. 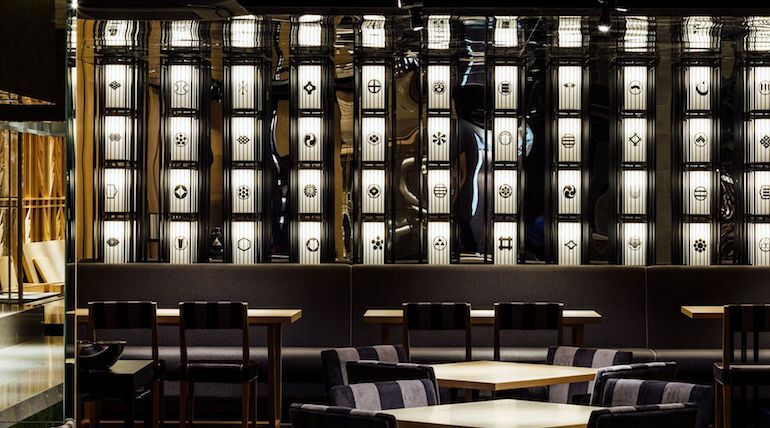 The interior of the restaurant didn’t fall short to that of its outside - modernised Japanese interiors are to be celebrated in all their glory. We were lucky enough to be sat at the top of the glorious bar, situated on the top floor (ground level) of two. 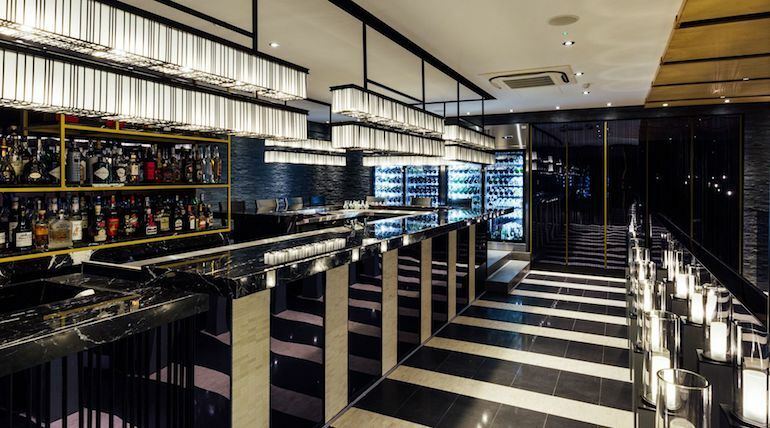 The whole room has a fresh glimmer to it, from the newly installed black and white flooring to the low hanging geometric lighting tracing the lines of the bar. The bar itself showcased an impressive alcohol collection, which we were ensured was only the tip of the iceberg to what they had in the cellar. Naturally, we were sceptical of this, however, we were swiftly proved wrong as they took us downstairs to reveal the huge show-stopping cellar containing enough bottles to last a lifetime. Ginza Onodera presented one of the most extensive drinks menus we’d seen in a while, and as if there wasn’t enough option on there, the barman was more than happy to challenge you to an original creation based on your flavour preferences. We loved how the menus were made of real leather- a lavish touch. Needless to say, the barman got the drinks just right, garnished with creative sugar works and packed with punches of flavours. The drinks were the perfect addition to the bar menu. A lot of bar menus offer sub-average samples of what the main restaurant delivers - Ginza Onodera’s bar menu is an exception to this. The bar menu itself had a delightful selection of Japan’s finest dishes from a range of prices to suit every customer. We ordered 4 of the dishes between two of us, and we were more than happy with the portion sizes. Often with Japanese foods, the ingredients and flavours can be so rich that it makes up for portion sizes - less is more with exquisite food. We would recommend the Salmon Tataki with Umemizore Sauce for the fish enthusiasts, and the Crunch Spicy Prawn Rolls for the sushi addicts. Having got a real taste for what Ginza Onodera has to offer, we are sure that their sake dinner series will be an absolute must. 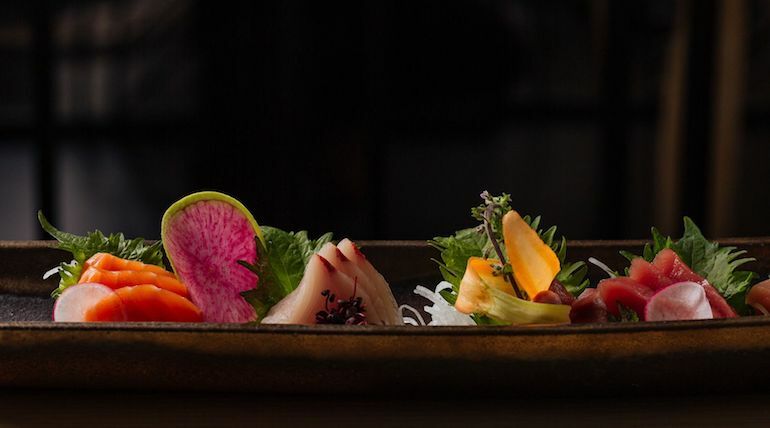 These dinners are presented by Ginza Onodera’s Head Chef, Ryosuke Kishi, Head Sommelier Angelo Lorea and leading sake brewery Yoshida Shuzo-ten, offering a bespoke menu for the guests. These dinners promise to give you a premium experience, and how can they not be when the menu includes Tsuyusanzen Nama Daiginjo, of which only 24 bottles are imported to London each year? The first of the dinners will take place on the 19th October, with more dates to be announced. Situated in the heart of Mayfair, Novikov is one of London's finest eateries. 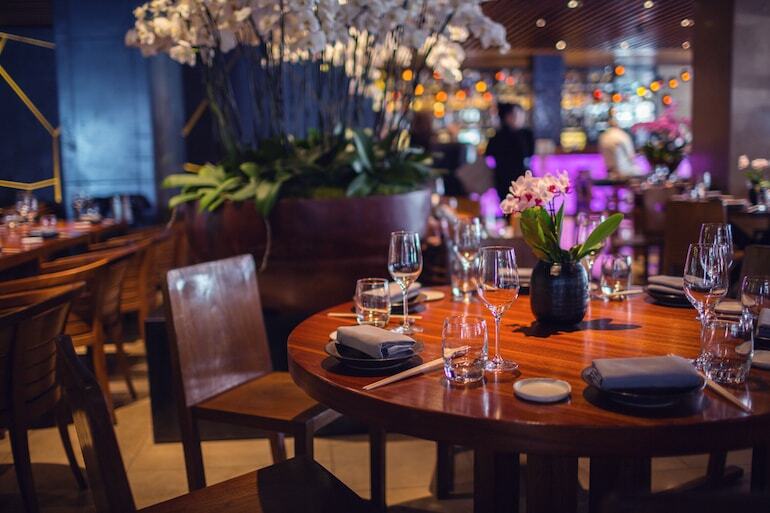 Famed for its host of celebrity clientele and exquisite food, Novikov is split into three - an Asian restaurant, an Italian restaurant and the underground Lounge bar. It is the place to be seen and also just to see - the fish counter in the Asian restaurant is a marvel in itself. Novikov holds Rihanna and Drake as fans, with the pair of them making it a must-hit spot when they're in London. It is one of London's most aspired to restaurants and is situated over three floors, just a stone's throw away from the Ritz. Owned and founded by Arkady Novikov, it is the Russian entrepreneur's first London restaurant and opened in 2011. He has created a vast food empire from London to Moscow and his restaurant easily sits as one of the capital's best. Whether you're dining at the Asian or Italian restaurant, you're in for a real treat. One thing to mention is that while known for its pricey menu, Novikov can be done cheaply. We went down to the Asian side to Novikov one lunchtime and we were seriously impressed by what was on offer. Fancy a trip down there? Read on. The Asian restaurant in Mayfair is undoubtedly one of the best in London, with only fresh produce being used (you'll see that for yourself as all their produce is literally lined up for you to see). One thing we recommend with this menu is to be brave - it's all about trying new things and certainly things you probably would never think to order. So what food should you get? 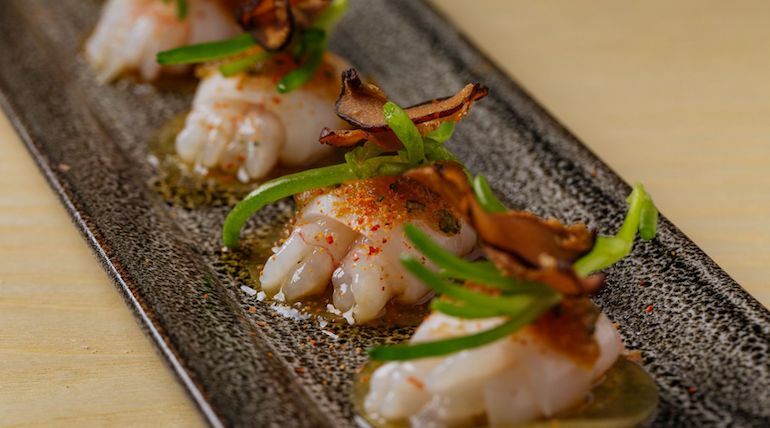 First things first, you should not leave without having tried the scallop and black truffle sashimi. It is a taste explosion that just keeps giving. Next, we would suggest getting yourself a mixture of the sushi available - we went for tuna, sea bass and salmon which we did not regret. 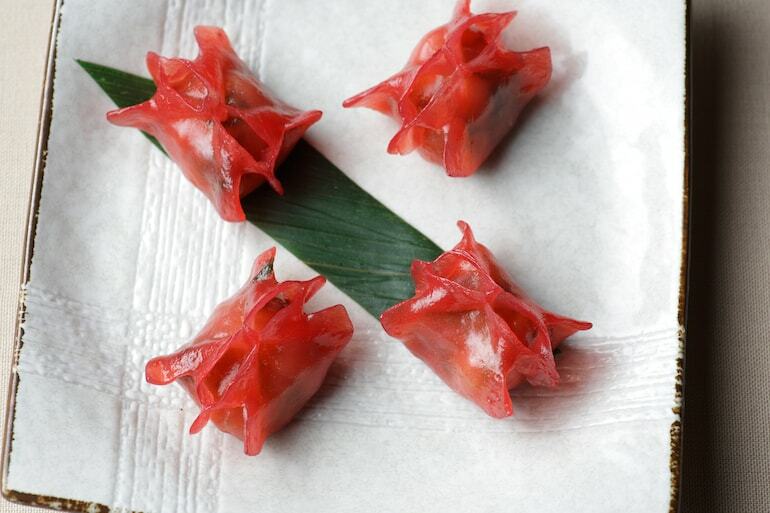 Next, if you're feeling like treating yourself, ask for the wasabi gratinated king crab claw. At just north of £71 it isn't the cheapest selection on the menu, but it's definitely one of the tastiest. Pair this with one of the expertly cooked beef steaks and you've got a winning combo. Desserts aren't known for being a speciality in Japanese cuisine, which is what this side of the restaurant is predominately based upon, but luckily Novikov knows this and the desserts are somewhat western. Chocolate lava cake and passionfruit and mango pudding were good enough to share between two, with a selection of sakes (we loved the cucumber and elderflower types) and a finishing touch by means of a Kalua coffee. While it can often be given a rep as a pretentious place, Novikov is exactly the opposite. Set in a relaxed environment with some of the best staff you'll come across at an eatery, it really is a mind-blowing experience that we wish we could do every week! Sitting in Mayfair, you can expect the clientele in Novikov to be dressed to the nines, and you'd be right. 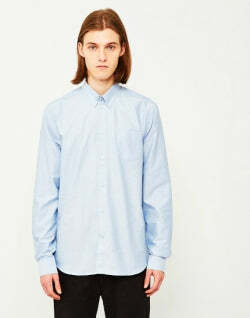 Don't wear a hat, but also there's no need to dress up in a suit. 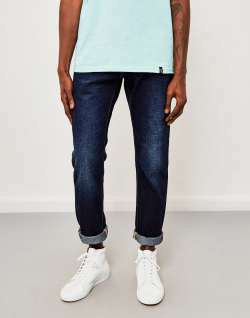 A simple shirt and jeans would be perfect.